Hometowns are places where one is born and brought up and everybody has a special place reserved in their hearts for their individual hometowns. One can go anywhere in the world but there will always be a few things that one cannot compare to their hometown. Ludhiana is a special place in the life and of Ludhianvis and will always be the same for them as they simply adore this place. This city is a complete city in each and every aspect and can be a strong competitor to any metropolitan city. It is a place where one can find almost everything you name and you get various options to get it. 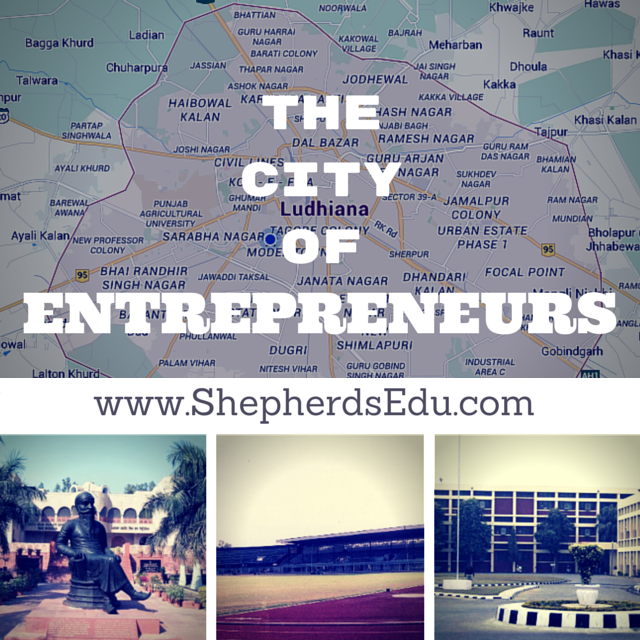 Any field let it be education, shopping, entertainment, business, social culture Ludhiana tops on the charts. The city of Ludhiana was named after the Lodhi Dynasty that ruled Ludhiana far back in 15th century. By far it has grown immensely in every way and has astonished everyone with its overnight progress. So talking about our city we would like to describe it in each and every aspect it contains. Talking about the climate, it has an extreme weather and comprising of 5 seasons namely summer , monsoon, autumn, winter, and spring. It has a humid climate in summers and winters but is bone chilling in winters. So it has a variety of a climate to offer. Ludhiana is the biggest industrial hub of North India. It constitutes numerous small-scale and large-scale industries all over the city.The industries produce various products like hosiery , machine tools , auto part goods, household appliances and garments. But one industry that has flourished immensely over the past decades and has marked Ludhiana on the globe is its bicycle parts. Almost 50% of the bicycle and bicycle parts production of the world is done in Ludhiana. Various big and small machinery parts are also manufactured in Ludhiana as well. Talking about clothing industry it is a leading producer in woolens and apparels. It supplies its garment products all over the world and is king of hosiery products all over the country. The majority of people living here comprise of businessmen and entrepreneurs that have really helped in improving the position of the city in this sector. There are numerous schools , colleges that aim at providing a class apart education to the children in town. There are many convent and non-convent schools that aim at providing best of education. These schools are upgraded to the latest education techniques to keep their students updated with all the latest knowledge so as to help them cope with the ever growing world. Colleges on the other hand have a great history behind them. Government college for boys is one of the oldest college of Ludhiana .many great personalities have studied here and achieved great success in their lives. Various other colleges have also been established till now to aim at giving education in every stream. The city also has a number of professional colleges as well. The oldest medical college is CMC (CHRISTIAN MEDICAL COLLEGE) which was establishes in 1894. Dayanand medical college is the another institution that has created a benchmark in medical history .it’s a leading institute with respect to education and providing various medical facilities all over north india. The oldest engineering college , GNDEC (GURU NANAK DEV ENGINEERING COLLEGE) is also a milestone in the history of this city. It provides the best of education and facilities to its students. Students from all over the world come for gaining education in this college. Coming to the asia ‘s largest agricultural university i.e. PAU (PUNJAB AGRICULTURAL UNIVERSITY) is the oldest of its kind in the city.many researches in this university have helped the scientists to achieve success all over the world. Various students from here go abroad to have a further researches and are also offered jobs overseas. There is a huge chain of restaurants, hotels, and lounges all over the city where people enjoy in their leisure time. There are many 3-4 star hotels namely park plaza, Radisson Hotel, best western that add stars to the image of this city in the country and internationally as well. These hotels reflect the lifestyle of the people in Ludhiana. The food is so delicious that once you taste it you will remember all your life. Various lounges and eating outlets are found all over Ludhiana. Every leading food joint has a venture in Ludhiana so it is an awesome place for every foodie. Various cuisines are served in almost every restaurant and they are simply superb. Furthermore, mall culture has attained a boom over 6-7 years giving an altogether a different outlook to the city. This mall culture has placed the city in the race of metropolitan cities. These malls have all the leading brands in clothing , home appliance, jewellery and accessories to offer to the people in town. Various food outlets are also available in these malls that provide delicious foods for the people in town. The leading malls are MBD mall ,Westend mall , Pavilion mall, Ansal plaza , Silver arc and Flames Mall. There are various markets in the old and the new city such as Chaura bazaar, Ghumar Mandi, Gur Mandi, Fieldganj that have enormous variety of clothing and dress material. This section rules over the clothing industry all over Punjab. The variety and quality offered here is unmatched by far. Every city has its own places that becomes its identity .few places are the clock tower, Gurudwara Dukhnivaran ,Lodhi Fort, Maharaja Ranjitsingh war museum, Guru Nanak Dev Bhavan , Guru Nanak stadium. This stadium is a center for all the state level and national level games.various concerts and open air games are being held in this stadium .there are various places for recreational activities such as Rose garden, Leisure Valley and PAU where people can enjoy and have a quality time with their families. On a religious note this city does not lack behind. Famous Mata Rani Mandir is also an important feature of the city and people in large numbers visit the temple. In addition to this, there is Govind Godham and Sai Mandir as well that depict the utter spiritualism of the people. These temples are a set of architectural excellence that are incomparable by far. The city is not only popular for its above mentioned sectors but is also famous for producing freedom fighters, writers, poets, singers ,actors of all times. This city has registered itself in golden words in respect to art and art lovers. Various freedom fighters are Kartar Singh Sarabha and Bhai Randhir Singh that have given us a chance to keep our heads high with proud. Two areas have been named after these martyrs and are one of the posh areas in city. Actors like Divya Dutta, Pankaj Kapur, Juhi chawla have set benchmarks in their fields. Writers like Sahir Ludhianvi, Gulzar Singh Sandhu are renowned names. There are innumerable people who have and are making Ludhiana and Ludhiana proud. We would say that Ludhiana is a place where one can get everything he/she wants in personal and professional areas of life. Yes it does have some disadvantages like heavy air pollution due to industrial sector prevailing in the city. Developments leads to increase in population which leads to increase in vehicles on road leading to heavy traffic jams. This is a serious problem that has to be sorted out to provide more planned outlook to the city. Rest all is wonderful and worth admiring.